Easter in Egypt is a special time for many and a chance to enjoy a break on an Egyptian Easter Tour. 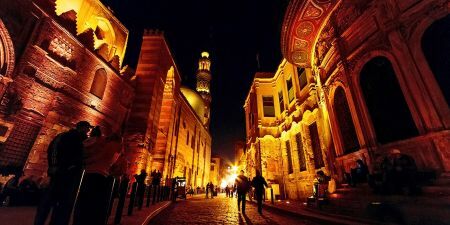 At Memphis Tours we offer a wide range of Easter touring holidays to Egypt to suit your budget and lifestyle with options of an Easter Nile Cruise between Luxor and Aswan, an Easter Tour of the Great sites such as the Pyramids in Cairo and Valley of the Kings, or even treat the kids to an adventure of an Easter break on the Red Sea in Hurghada or Sharm El Sheikh. Book fantastic Easter short breaks to Egypt and enjoy time together as a family over the Easter Holidays. Our terrific Egypt Easter Offers are unmissable! Exchange your Easter at home for an exciting Nile Cruise from Luxor tour on board Steigenberger Minerva Nile Cruise to discover the real Egypt from Aswan to Luxor. A truly blissful Easter holiday in Egypt to remember. A delightful Easter break in Egypt on a splendid Boat from colourful Nubian Aswan and all its attractions sailing down the famous river Nile unchanged for centuries visiting Temples en route and arriving in Luxor. Delight in this blissful Easter Nile Cruise Egypt over 4 days sailing the Nile from Aswan to Luxor starting with the Nubian Aswan to include Philae Temple with temples en route till reaching Luxor and it’s famous sites. Why not change your usual Easter break for a perfect Easter Nile Cruise in Egypt for 5 days sailing along the river Nile starting in historical Luxor visiting the ancient sites en route till reaching the wonderful Aswan. A most delightful way to spend your Easter vacation 2018 is on this 5 day 5 star Easter Nile Cruise in Egypt from Luxor to Aswan. exploring the famous pharaonic sites in Luxor.